Real Estate has been a part of my life for as long as I can remember. It started with my grandfather, continued with my mother, and now continues with me. As one of the owners and founders of Girard Homes here in Columbia, Missouri, I live and breathe real estate seven days a week. I moved to Columbia about six years ago to attend college at the University of Missouri. I received a degree in business finance and real estate. 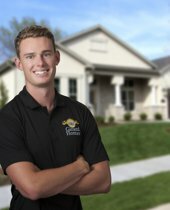 I got my real estate license while I was a freshman in college and have been hooked on helping people build, buy, and sell their homes ever since.